This shiny piece is the top cap of the K101 MOD. This is the piece that finishes off your MOD case and here is where you attach the clearomizer of your choice. 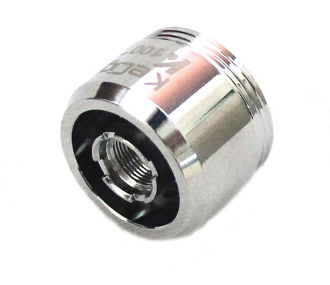 This MOD is 510 threaded which means it is very versatile and works with any eGo clearomizer.